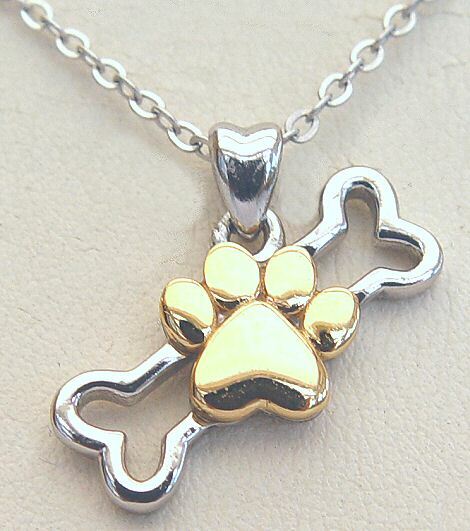 Our most popular, sought after necklace! 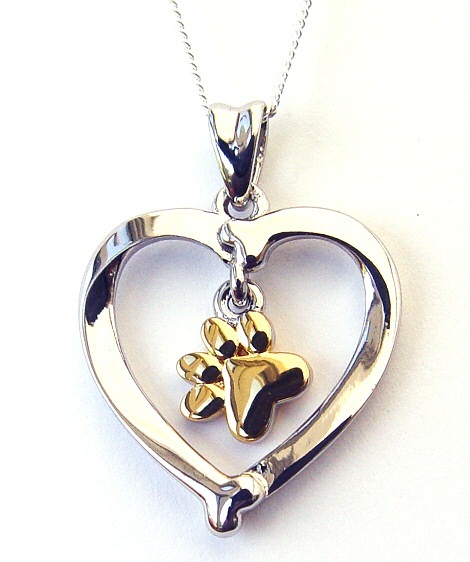 A Sterling Silver Heart shaped pendant on a Sterling Silver box chain. 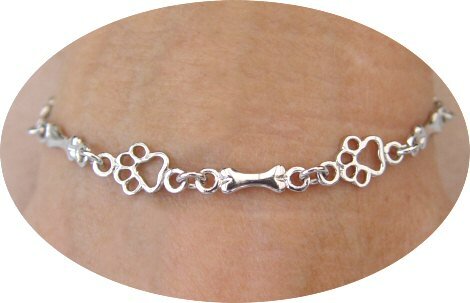 The Heart is approximately 16.5mm tall and 13.5mm wide and features two dog (or Cat!) 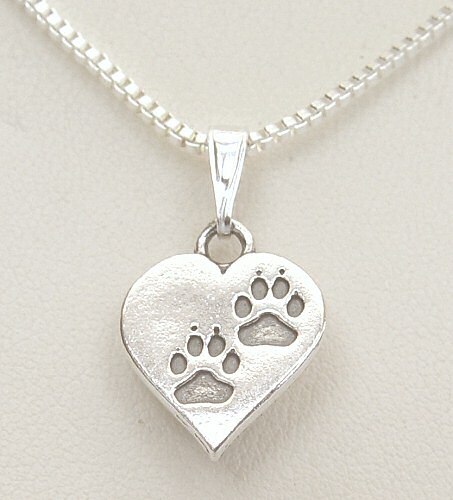 Paw Prints. 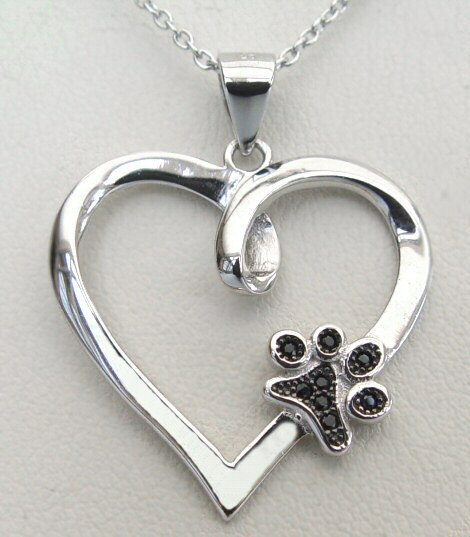 Your Paw Is On My Heart Necklace: Sterling Silver Heart with a dog paw print featuring black Cubic Zirconia crystals. 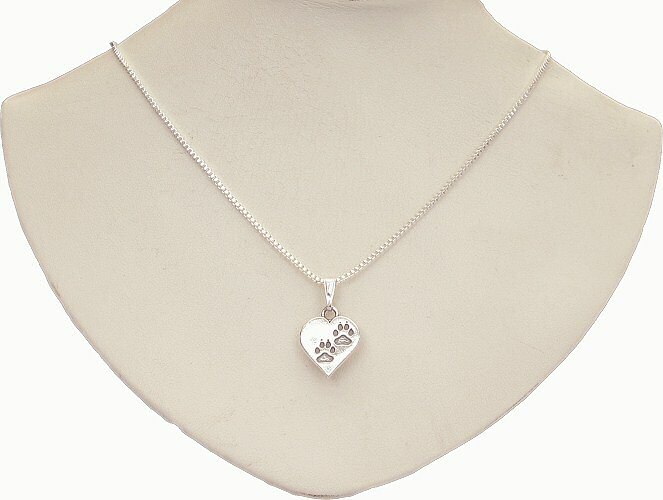 Short Description:- Pawprints on my Heart Necklace: a Sterling Silver Heart shaped pendant on a Sterling Silver box chain. 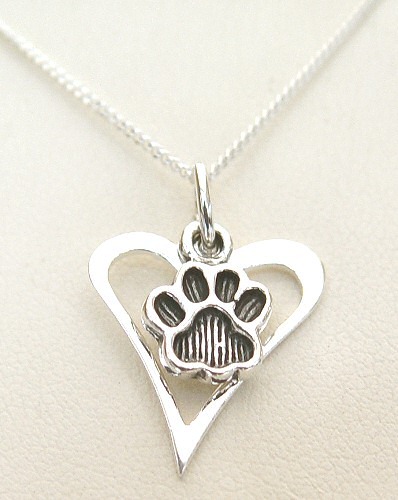 The Heart features two dog Paw Prints!